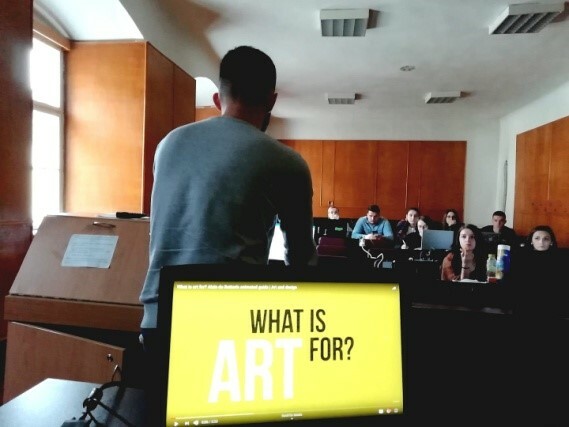 Last 17th – 25th November 2018, Babes Bolyai University, Cluj-Napoca hosted a Certified Training Program session. WYA Romania President Alexandru Grozavu and Advocacy Vice President Ovidiu Ștefan Gherasim coordinated the work. 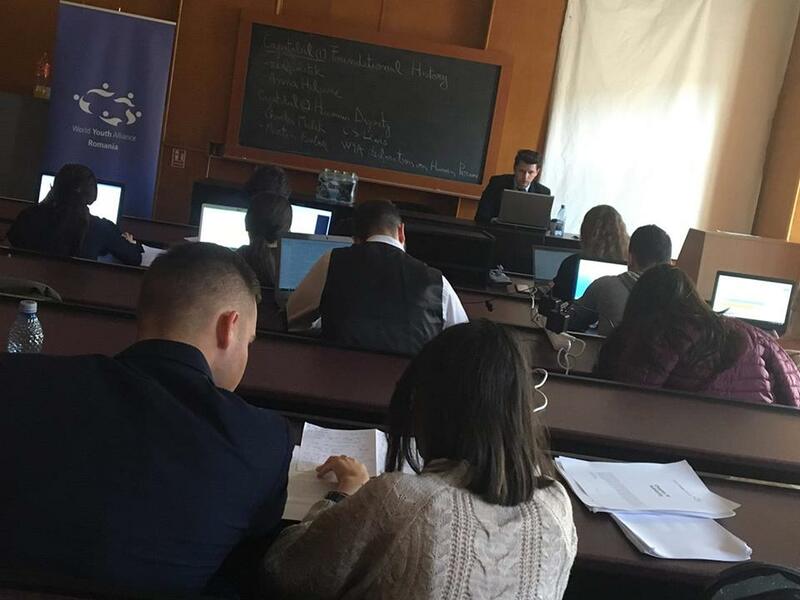 The activity has captured the attention of students from the Faculty of History and Philosophy and the Faculty of European Studies who actively participated in the organized debates. The event took place in the context of the opportunity for extension of WYA Romania to Cluj-Napoca due to the young people who had a strong desire to make a change in the world and are open to new challenges. The main goal of the Certified Training Program was to train young people on the values of human dignity, freedom and solidarity so that they can be further promoted in future activities, both nationally and internationally. In the first part, the core values ​​of WYA were discussed, namely human dignity, freedom, solidarity, and the way in which the main problems of the world can be understood from this perspective. Also, the history of WYA appearance in the world was discussed, emphasizing the importance of Anna Halpine’s vision. In the second part of the training, the main topics of discussion were: the importance of culture in society, spiritual development and the existence of a system of laws that respects human dignity. Different situations where laws are not derived from human dignity have been debated, proposing solutions through which young people could shape them to be consistent with WYA values. After the completion of the CTP, three members started the PR training which was guided by PR Coordinator of WYA Romania Teodora Topor. A conference will be held in December on the opening of WYA in Cluj-Napoca, which will be a step forward for ideas to become reality. All things considered, the event has reached the goal of finding people who identify with WYA values ​​and further promote human dignity. To find out more about the WYA Romania Iaşi and Cluj activity, visit their Facebook page.